The title of my talk 'The Politics of Pronunciation' doesn't change from country to country, but of course the politics in question change hugely, depending on where I am! Being an RP-speaking brit visiting India to tell Indian people how to speak English? The historical legacy to that particular mission wasn't lost on me! Of course that wasn't the tone that my talk took. 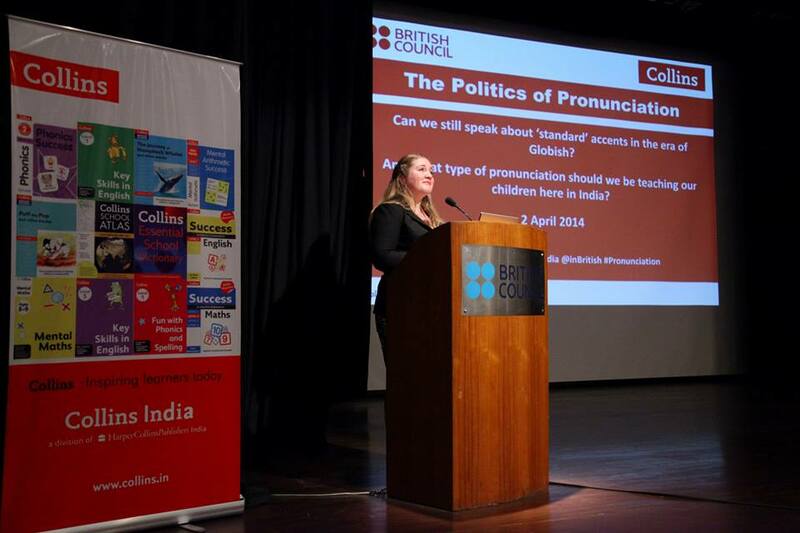 It was a great experience though, to join the debate that is raging in India about pronunciation standards. In the era of globish, does it still make sense to teach British English as a pronunciation standard? English is an Indian language these days, and the kids being learning to speak it are more likely to use it with other Indians than internationally. And if we are thinking about emerging international trade markets, I'm no economist, but it seems to me that an accent that is useful for speakers of English as a Lingua Franca might be a more useful model.